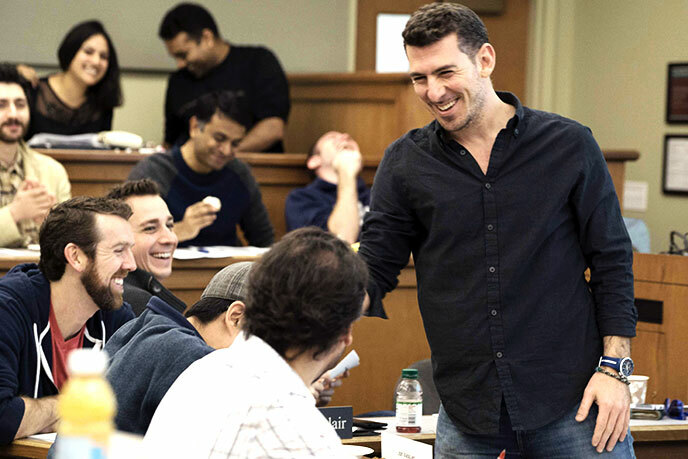 FROM The Berkeley EWMBA Blog: One of the "Best 40 Under 40"—Meet this Evening & Weekend MBA Prof.
Panos teaches Financial Information Analysis (FIA) & Valuation in that part-time MBA program and told P&Q he feels "especially connected" to his most recent roster of Haas students. "He turns complex theories into easily digestible concepts. He fills the classroom with laughter, yet he is serious in his delivery of key takeaways," student Cecelia Mui told Poets & Quants. The b-school news site said professors were chosen using student feedback, awards and honors, quantity and reach of research, public speaking, and educational qualifications. "They are all supremely well educated, highly talented researchers, exceptional teachers, and, perhaps most important of all, they inspire students and their students inspire them," the article said. The Poets & Quants profile of Panos noted his five degrees, pride in his Greek heritage, fondness for hip hop, and cooking skills. His research focuses on the relationship between aggregate accounting data and the macro economy, financial statement analysis for measuring and forecasting economic activity, financial statement analysis and valuation, and cross-industry economic ties and supply chain management. 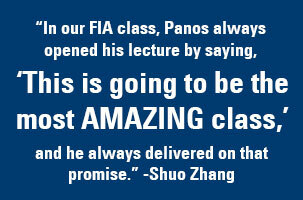 Now that you've heard what students have to say about Panos' class, get more perspective on the Evening & Weekend Berkeley MBA Program from our student profiles. its been pretty quiet out here.... Does anyone have any updates on the number of people attended the welcome session for admitted EWMBA students last week? Apparently some R3 applicants were invited as well. They invited R3 applicants to the welcome session? I hadn't heard that from anyone. I had my interview a couple weeks ago, the day before the welcome session), and I'm just now waiting for May 29th. I don't think that is true. Everyone I spoke to was either an R1 or R2 admit. The adcom people mentioned there would be another reception for R3/R4 admits later. It was hard to determine how many people attended the reception since so many brought their spouses/SOs and there were some current students present as well. For what it's worth there are currently 138 members in the class of 2018 FB group. A handful of those are adcom members and a few current students on the social committee. I'm sure some admits haven't joined the group yet. Just to add, after the interview that is what my interviewer told me as well which is in line with the thought here. That make me feel so much better now... I was worried that I am not going to get in at all since I havent heard a thing from Adcom after my interview. BTW my math requirement shows up as complete, anyone else see that? Adtag- interview was kind of short for me, she was almost 5 minutes late to grab me from the meeting room, which didnt make me feel confident or good. I am definitely worried since I could have answered the questions better, now that I think about it. BTW she didnt give me a business card, is that a bad sign? What did you do get that completed, retake GMAT again? Short, as in, 15 minutes? 20 minutes after she grabbed you? Did you ask for the person's business card? I don't think there's any correlation to being given a business card vs. not. Some people like handing out business cards freely, some people don't even think about it. I was given one, but again, it all depends on the person, really, so I'm not looking at that as a sign at all. Nope, done nothing since submitting the application. Anybody know how long it usually takes for interview invites to be sent out? I submitted my app a couple weeks ago, but the only communication I've gotten so far has been about sending in a hard copy of my transcript. BerkeleyorBust2015 - I did not ask for a business card. I thought she would offer it if she wants to, and I can give her one too. But she did not offer it. Is the quant efficiency status change always step after interview? I wonder if that means that your application has moved forward to the next step and you have a better shot at getting in? pingpong - it really depends. Following the forum posts, I have seen people getting interviews as early as a week after they submitted their application, and as late as 5 weeks after they submitted application (myself). I dont know what the order is. I'm pretty sure there is no correlation. I heard some people receiving business cards and not getting in, and those who did not get business cards, but got in. So really, there's no telling. Looks like I'm smack dab in the middle; received the interview invite tonight after about 2.5 weeks..
Matt Heling came to Haas to shift his career within cleantech and gain immediate and measurable ROI in the process. On the eve of graduating from the Berkeley-Haas Evening & Weekend MBA Program, he has landed a new position with SunEdison developing and driving the financial products that enable homeowners to "go solar." Heling crafted his career plan around an early interest in clean energy. In six years, at Pacific Gas & Electric, he worked first in power generation technology, then shifted to utility policy and strategy related to “behind the meter” generation, such as rooftop solar, and moved onto the economics of utility-scale generation. This culminated in his recent move from PG&E to SunEdison, where he is a senior manager in structured finance. Achieving his career goal depended on structuring his courses. 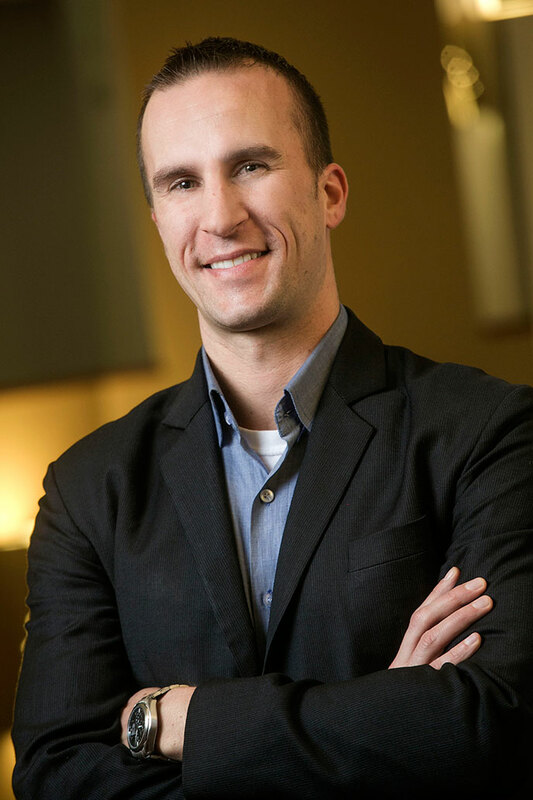 Once core courses were behind him, Heling dedicated the remainder of his part-time MBA studies to electives that deepened his proficiency in technical fields such as economics, finance, and energy. Classes like Energy Infrastructure & Project Finance, Financial Statement Modeling for Finance Careers, and Energy & Environmental Markets gave him the knowledge and credibility he would need to make a career move. Outside of the classroom, Lara Klein, of the Career Management Group, offered counsel “in the form of questions that really made me think things through and come to my own conclusions,” Heling says. Broader horizons—that's one reason to choose the Berkeley MBA. 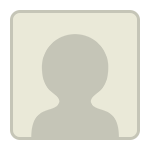 We invite you to check out 10 more. I am currently on the waitlist for Haas EWMBA. I was wondering that how do we know Haas admissions has started re-evaluating your application? Does the online status changes from "Waitlist" to "File under review"?